Here is a map shows territory of Russia. Displayed city Lukhovitsy for Garmin. You can find here town Rybnoye for Garmin. You can find here town Beloomut presented. You can find here town Polyany presented. On this map town Krasnaya Poyma marked. You can find here town Solotcha presented. You can find here town Radovitskiy marked. On this map Konstantinovo free download. On this map Zimenki marked. On this map Zhulevo free download. You can find here Zhitovo free download. On this map Zhilkintsy marked. You can find here Zherebyatniki marked. Zhabka free download. Displayed Zarudnya presented. 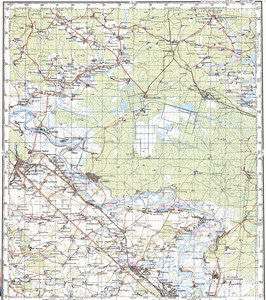 On this map Zaokskoye download for free. On this map Zabor'ye free download.